When you think of hearing loss, you might immediately think of an older person who wears hearing aids. The lifetime of exposure to sound or just the natural process of aging may cause many older people to lose their hearing. Yet, the landscape of hearing loss is rapidly changing with new technology. As audio devices become more common and used for more hours per day, they can have unknown effects on hearing, even at young ages. We have yet to discover the long-term effects of sustained use of audio devices, particularly when they are used at a loud volume level and for many hours per day. Taking up the call for preventative action, the World Health Organization has instituted the “Make Listening Safe” initiative with the following specific recommendations for technology developers who work in the audio realm. By abiding by these regulations, new technology might be able to reduce the risk to young people far into the future. First, the initiative prescribes a “sound allowance” function to become part of any device. This software would track the volume level and duration of exposure to sound as a percentage of a starting level of exposure. The relative nature of this “sound allowance” is important, enabling users to know where they stand relative to a personal baseline. If a person is reducing exposure to sound, that improvement should be noted, even if the person has a long way to go toward overall harm reduction. Along with the “sound allowance” software, an individualized listening profile based on other personal practices would give cues for action based on that trend. For instance, this profile might suggest limiting exposure when a personal threshold had been crossed. Next, volume limiting options are crucial in new technology. Though these would not be built into the device, users should have the ability to opt into hearing preservation measures if they want to. These features would include automatic volume reduction if a person raises the volume too high without realizing it, parental volume control for children, and options to limit the overall volume of the device. 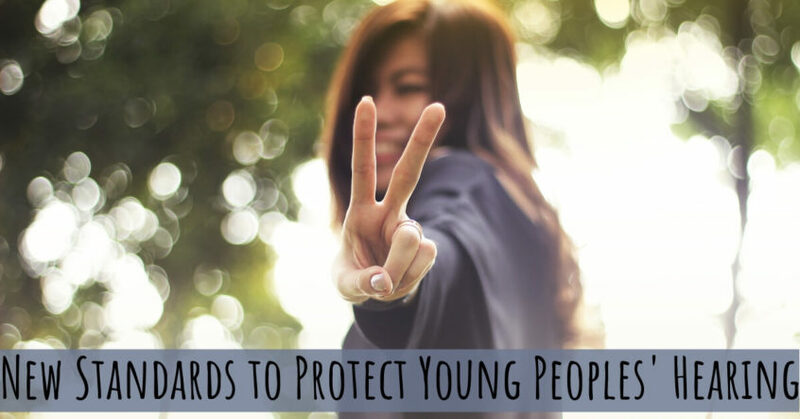 Though the decision would remain in the hands of the user, these options would enable young people to protect themselves. Finally, any personal audio device should come with general information and guidance on safe listening practices. Though the sounds coming from video and audio on our smartphones and other personal audio devices can be incredibly damaging, many people simply do not know how and why that damage might occur. Safe listening practices, such as limiting the volume and duration of sound exposure, should be provided both for personal audio devices and for other leisure activities. With these practices in place, research and development of new technology can take into account the ongoing effects on users over time. Currently 5 percent of the world population, or 466 million people, have disabling hearing loss, and the World Health Organization would like to see that number go down in the future rather than up. Yet, they report that by the year 2050, 900 million people will have disabling hearing loss, many of them young people. Putting these standards in place may work as a public health measure to prevent hearing loss among many of these personal audio device users, but the ultimate responsibility remains in the hands of the individual. Continued advocacy for healthy listening practices will continue to be necessary through education and public health campaigns. If you believe you’re experiencing changes in your hearing or might benefit from a baseline hearing test, contact us at Hearing Aid Associates. We provide comprehensive hearing services to help you establish healthy hearing habits, and if a hearing loss is detected, our team is here to help you find the best solution to meet our needs. Contact us today to schedule an appointment!